Silicone Sponge is an excellent material for uses requiring a soft, compressible material and particularly suited for high temperature applications. There is a full range of standard colours available and J-Flex has the capability to colour match to customer requirements. The sponge is predominately-closed cell with low water absorption. Sheeting is available in standard rolls 1m wide; other widths can be produced upon request. 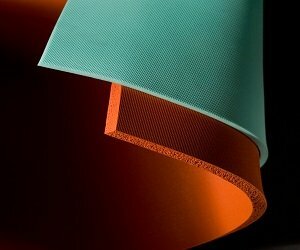 Our sheetings can also be supplied complete with adhesive backing and slit into strips or punched to produce gaskets to your specific dimensional requirements. Standard Density 250kgs./m3 EX-STOCK – others made to order.